Are we limited to parallel universes? Prepare to be mind blown by these four other prevailing multiverse theories. 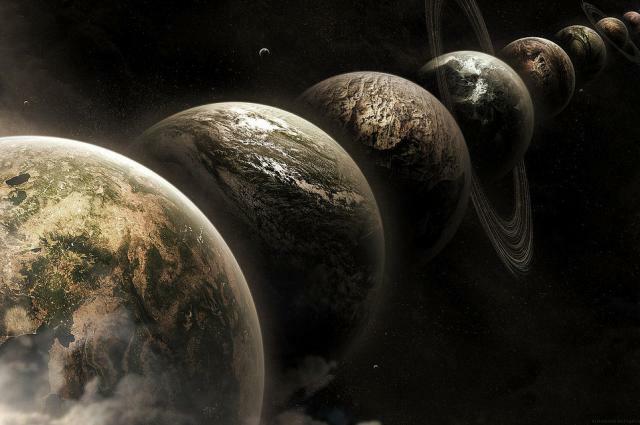 The theory of parallel universes is not a new concept — the term multiverse has been used as early as 1895. But what exactly is a parallel universe? The theory of parallel universes states that many universes exist parallel to each other within a large multiverse. Not all scientists believe in these separate universes, but one cosmologist, Ranga-Ram Chany from the California Institute of Technology, believes he may have captured the first ever glimpse of a parallel universe. Chany used data from the Planck telescope found at the European Space Agency, and subtracted cosmic microwave background models from Planck’s picture of the universe. What he found were regions that were much brighter than they should be, almost 4,500 times brighter. This finding is consistent with the idea that bumping parallel universes leave behind a so-called “bruise” in the form of a ring of hot photons during a collision. Cosmic microwave background research, analyses, and interpretation are extremely difficult, and Chany admits that there is a 30 percent chance his findings are just background noise or space dust. He hopes to have more results in the next few years, but he likely won’t have proof of his hypothesis until the next generation of space scanning technology is complete in 15–20 years. The advancement of space scanning technology could also help prove the existence of not only parallel universes, but other hypothesized forms of multiverses. How many other theories of multiverses could there be? An infinite universe is one that is flat and stretches infinitely in space and time. Since there is a finite number of ways particles can be arranged in an infinite universe, eventually these arrangements will repeat. This means that if you were to venture out far enough, you would run into infinite versions of yourself, some living the exact same life as you right now and others that are completely different. A bubble universe is based on the idea that after the Big Bang, the universe expanded by inflating like a balloon. The theory suggests that some parts of the universe stop inflating while others continue, resulting in bubble universes that may have completely different laws of physics. According to the theory, our universe has stopped inflating which is why we have stars and galaxies. Daughter universes are hypothesized to be a product of outcomes or choices, meaning each choice we make spawns a new universe. For example, say you get acceptance letters for two different universities A and B, our universe would then create daughter universes: one where you go to university A, one where you go to university B, and one where you do not go to either. Mathematical universes are ones where mathematics is a physical reality, and the mathematical structure that makes up our universe is not the only structure that exists. Separate universes are formed by different initial conditions, physical constants, and mathematical equations. Will the proof of other universes continue to remain just beyond our grasp, or will we one day find the key to unlock the door separating us from the secrets of the cosmos?